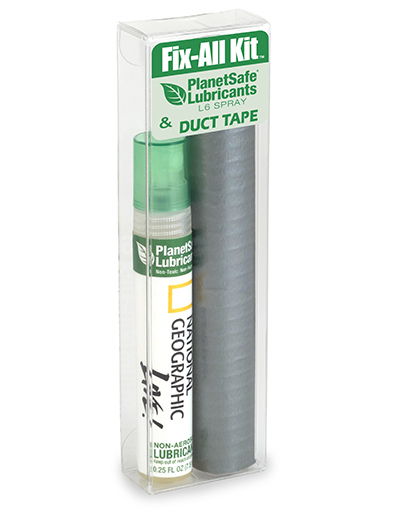 Fix anything with PlanetSafe® L6 Lubricant Spray and Duct Tape! 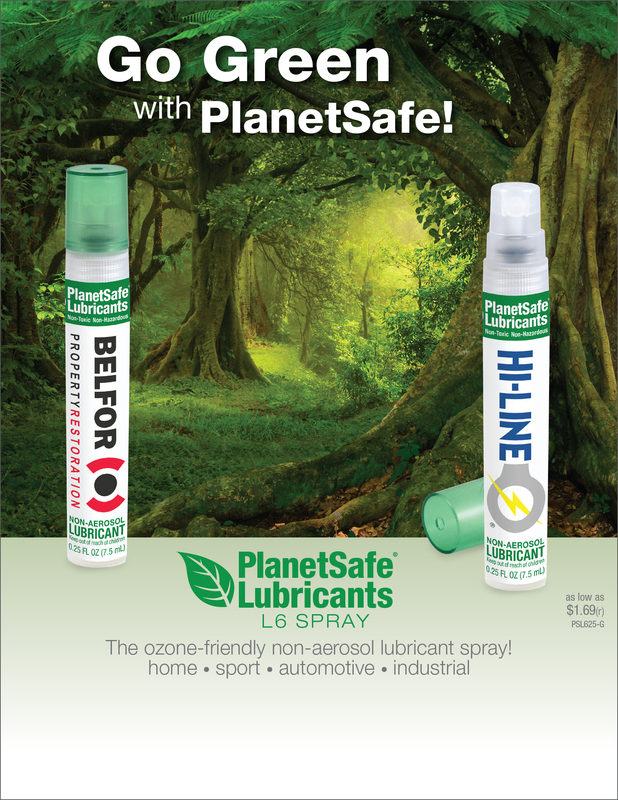 PlanetSafe L6 Home-Shop-Sports Lubricant is a non-aerosol, non-toxic, non-hazardous all-purpose lubricant that penetrates, protects, and cleans, with thousands of uses. Paired with a sheet of Duct Tape, these two are sure to bring a smile! This pocket-sized kit is both handy and convenient, and fits in your glove box, desk drawer, and even your pocket. 250 units/16 lbs per box.